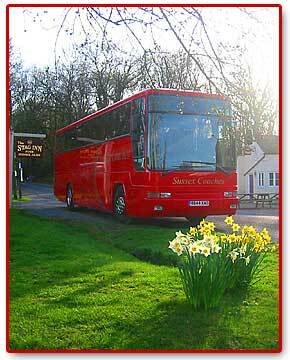 Sussex Coaches is a predominant and well respected company, based between Gatwick and Brighton. We operate a modern fleet of vehicles ranging from our mini-coaches with 25 seats to our double deck coaches which can carry up to 72 people. For more details of our fleet see the Fleet Profile section of our website. Our team has clocked up hundreds of years of joint experience and has travelled millions of miles. As a company we have taken this experience and knowledge and have been providing a quality service for over five years. Why choose Sussex Coaches to take care of your transport requirements? Simply because whatever you want, we can deliver, be it a 3am transfer to the airport, a day to the seaside, or an extensive European tour, we will be happy to cater for any function, trip, or group. If there is a road to your destination we'll be on it. You can always be assured that your coach will be there on time, cleanly presented with a smart and approachable driver.